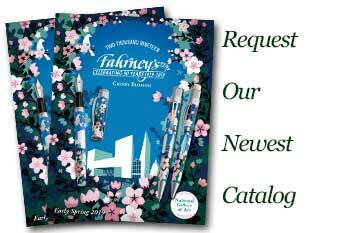 Order your Cross Townsend Stylus Fountain Pen today from FahrneysPens.com. Fine Pens, Refills & Luxurious Gifts – great prices & fast shipping. Introducing the Cross Townsend Stylus Fountain Pen, Cross's first luxury dual-functioning pens for paper and digital navigation! The masterful Townsend profile features intricate diamond pattern engraving plated in precious 23K gold or platinum. The Townsend Stylus has a conductive silicone cap top for typing or scrolling on any touchscreen device. When communicating on paper, you can enjoy the superb quality of the Townsend fountain pen with 18K gold nib or the classic twist-activated ball pen.